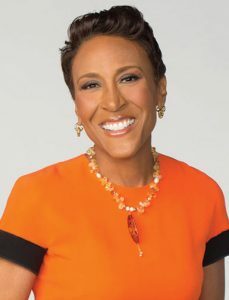 Robin Roberts to be honored at 2018 NAB Show. Las Vegas, NV—Coanchor of ABC’s Good Morning America, Robin Roberts will receive the NAB Distinguished Service Award (DSA) during the 2018 NAB Show in Las Vegas. 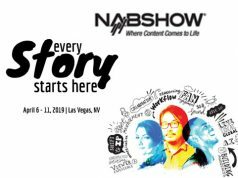 Roberts will accept her award at the NAB Show opening on Monday, April 9. Each year, the NAB DSA recognizes members of the broadcast community who have made significant and lasting contributions to the industry. Previous award recipients include Bob Schieffer, Michael J. Fox, Mary Tyler Moore, President Ronald Reagan, Edward R. Murrow, Bob Hope, Walter Cronkite as well as Oprah Winfrey. Roberts began contributing to Good Morning America in June 1995. She was named coanchor in May 2005. Prior to that, she appeared on ESPN’s SportsCenter and NFL PrimeTime. In addition, Roberts heads her own production company, Rock’n Robin Productions, which creates original broadcast and digital programming for ABC and other networks. Roberts was diagnosed with breast cancer in June 2007. Moreover, five years later she was diagnosed with myelodysplastic syndromes (MDS). Upon her diagnosis, she joined forces with the national marrow donor program, Be the Match. 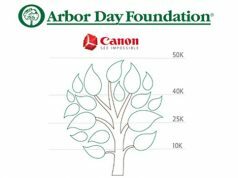 The goals was to inform the public about the need for more donors. The registry has seen a tremendous increase since Roberts began her advocacy. Furthermore, Roberts has been recognized with awards and honors from organizations around the country. They include the Susan G. Komen Foundation as well as the Congressional Families Cancer Prevention Program. She was also honored with a George Foster Peabody Award and Gracie Award. In addition, Roberts was recognized with the Arthur Ashe Courage Award at the ESPY’s in July 2013. Moreover, Roberts is the author of From the Heart: 7 Rules to Live By. She also wrote her memoir, Everybody’s Got Something. In it she tells the story of her battle against a life-threatening illness, learning life’s hardest lessons and her inspiring return to broadcast television.